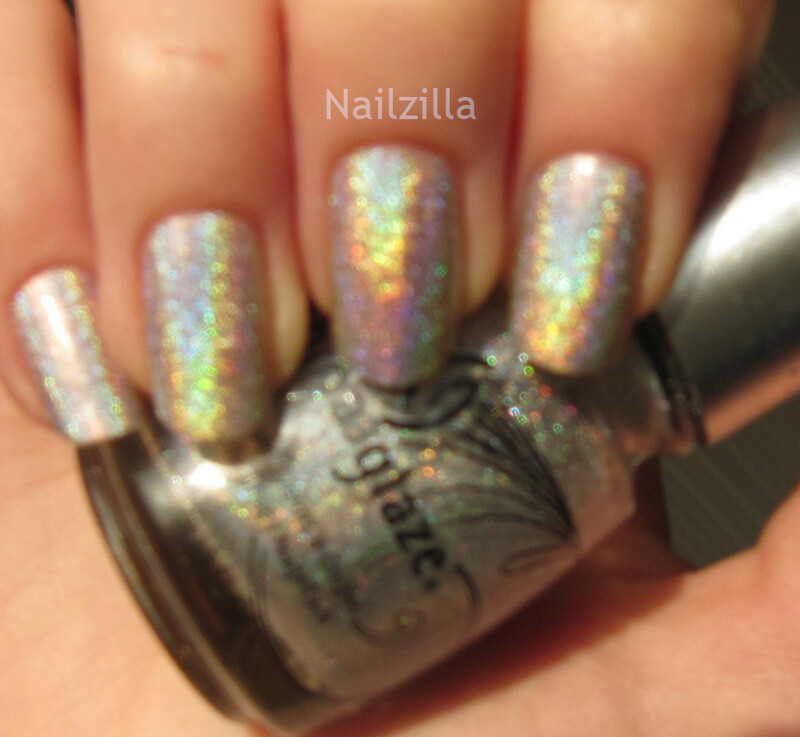 China Glaze Sexagon was a part of the holographic Kaleidoscope collection back in 2006 and I got my hands on it during my second dusty hunt! It's only about half full but I'm happy I even got to hold it...Oh my god. 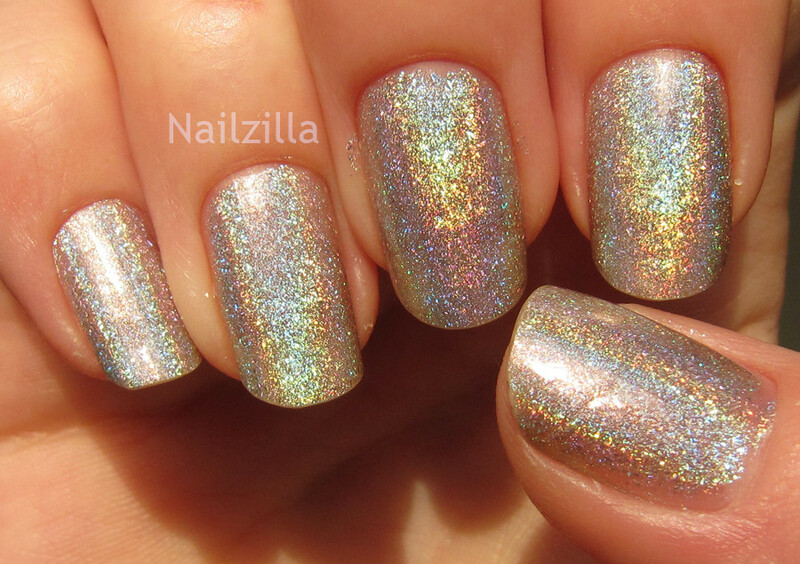 It's a very interesting holographic polish, the particles are quite large and the texture in the bottle very much resembled the Shiseido Maquillage 93 and in the "type" of holographic (dare I call it...scattered holo?) this is very similar, but somehow...Sexagon is SO much more colorful! 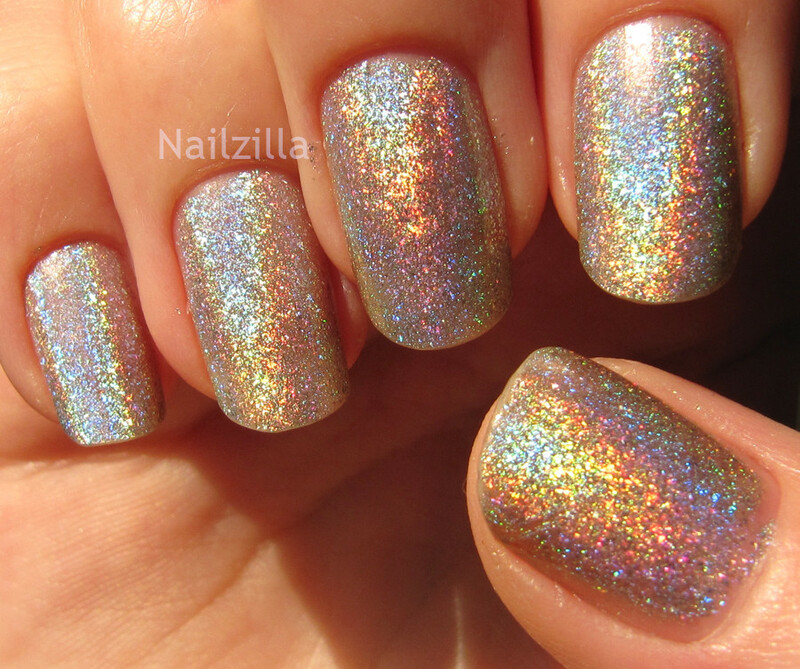 This is possibly the most holographic polish I own, it's an intense rainbow with bright flecks and sparkles...just all-around amazing. 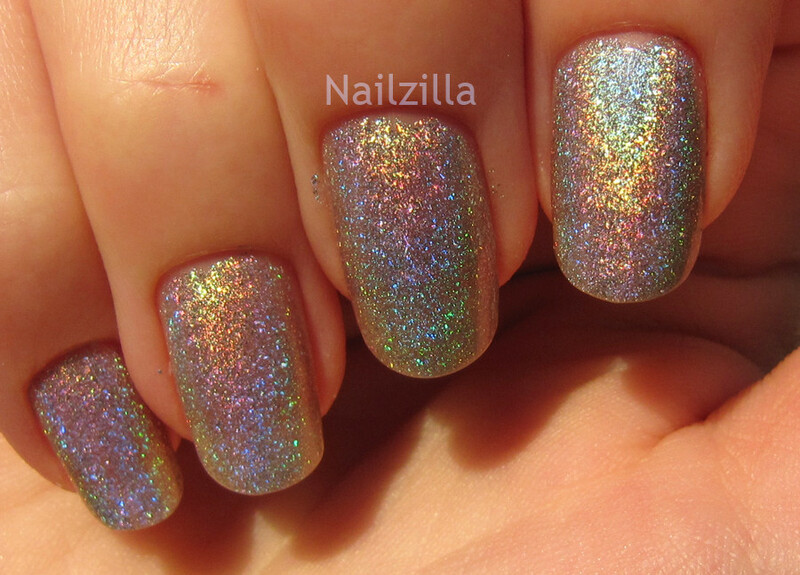 I put Seche Vite over top and it did not dull the holographic effect at all! 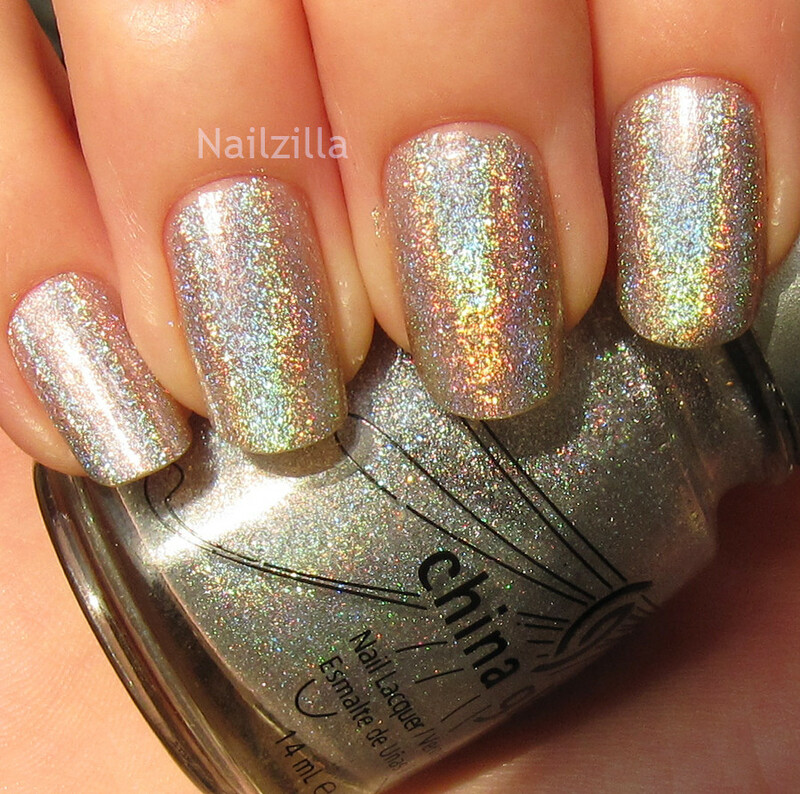 Applies a bit light, took about 3 coats to show its full opacity, but the effect is very evident even if I use 2 coats. It dries very fast and did not require a special base (looks the same with Nfu-oh Aqua base or without). The rainbow shows indoors, outdoors, any sort of light pretty much. I usually never see grey, it's always rainbows everywhere! This makes me happy, because ever since I moved to Vancouver, sun has been one of its rarest pleasures. But enough about me...enjoy the spam!